"... First time using ursolic acid and I am pretty pleased. Nothing as strong as a prosteroid or prohormone but it still gives you some nice clean gains. What I've noticed is that I am actually leaning up, so no fat no water etc. Really happy in the big picture as I am not looking for anything dramatic, just nice consistent gains." One of the most advanced natural based body recomposition supplements today! 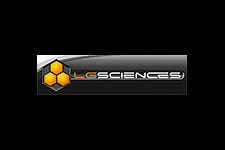 LG Sciences continues to create some of the most advanced supplements on the market such as Ursolix, their latest body recomposition product that has proven remarkable results to date! 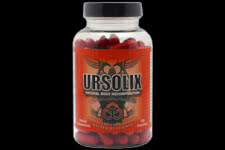 With the addition of piperine, Ursolix is a extremely potent blend of ursolic acid that will yield you results. One of the most incredible effects while using this product is that consumers have reported to have gotten leaner and have experienced toner muscle without any changes to their diet or daily fitness. Basically, to put it plainly, you will experience quicker results without any extra effort - sounds good? 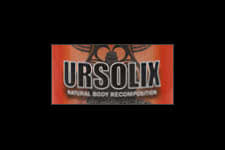 Well it is, it's Ursolix! Another great benefit is that while using this product, you will retain your lean muscle mass as well, so no need to worry about muscle waste while losing fat. Give it a try and better yet, return back to fitFLEX and share your review!